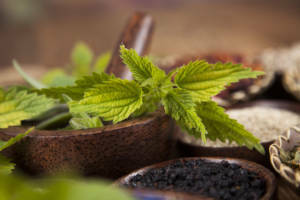 Naturopathic Medicine blends centuries-old natural therapies with a modern understanding of current medical technology and advances in the study of health and human biological systems. 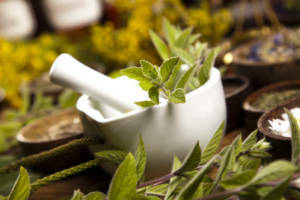 Naturopathic Doctors (as designated by the initials N.D. or N.M.D.) attend four year accredited schools and are the only licensed medical practitioners who are clinically trained in the use of a wide variety of natural therapies. These therapies include clinical nutrition, homeopathy, botanical medicine, physical medicine, and hydrotherapy (the curative use of water). The philosophy of naturopathic training is rooted in the importance of treating the whole person, rather than just treating symptoms. Therefore, naturopathic therapies are tailored to the patient and strive to address the underlying cause of the patient’s condition as well as providing symptomatic treatment. These therapies are intended to support and stimulate the patient’s innate healing processes in the gentlest, least invasive, and most complete manner. Prevention and self-responsibility for health are also emphasized. We learn this approach from the very first day of our training. A healthy, balanced diet is the cornerstone of maintaining good health. That can mean different things for different individuals. I do not necessarily advocate one type of diet. 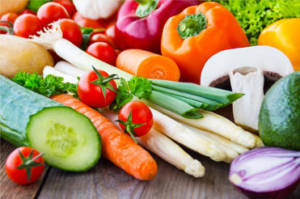 Lifestyle considerations, blood type analysis, allergy testing, and specialty testing all play a role in determining the best diet for each person I see. Many conditions also benefit from nutritional supplementation with vitamins, minerals, enzymes and glandulars. I do a lot of research on the products I recommend to make sure they are of the highest available quality, consistency, and purity. Homeopathy is a system of medicine first developed in 1796 by a medical doctor named Samuel Hahnemann, although the origins of its philosophy may go back to Hippocrates. It utilizes substances with a tradition of medicinal use from the plant, animal, and mineral worlds. These substances undergo a process of serial dilution and potentization in order to provide an energetic medicine that will treat the patient gently without suppressing the innate healing and disease fighting ability of the body. In the United States, the Food, Drug, and Cosmetic Act of 1938 recognized homeopathic preparations as drugs. I typically use single dose remedies, isopathy, and combination remedies in my recommendations. 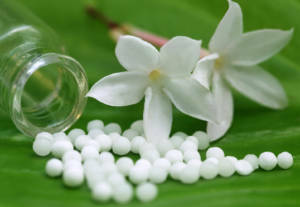 I select homeopathic medicines that are made according to exacting standards by manufacturers in Europe and North America. I utilize electromagnetic and bioresonance therapies to balance the body’s cellular and nervous systems. The frequencies of the machines I have mitigate negative man-made EMFs (electromagnetic fields, such as wifi) and help restore harmony with the Earth’s natural magnetic rhythm. The machines are based on the research of W. Ludwig (registered trademark) of the Institute for Biophysics in Germany. In addition, I frequently send patients home with instructions for hydrotherapy, to be done as part of their self-care. The liver, intestines, lungs, kidneys and skin are the body’s natural pathways of elimination. This method of homeopathy helps open and tonify these pathways of elimination, not just lighten the toxic burden. The 76 numbered compounds (called UNDA Numbers) used in drainage are unique, synergistic blends of plant and mineral substances that were developed in Europe in the early 1900’s. Because there are hundreds of combinations of remedies to consider during the course of treatment, Biotherapeutic Drainage is also highly individualized according to the person’s hereditary factors, their temperament, and their physical constitution. UNDA Numbers are manufactured in Belgium in a highly sustainable way under the strictest quality control.